An exciting lure from Germany where it has accounted for many specimen fish including three in excess of the British record. 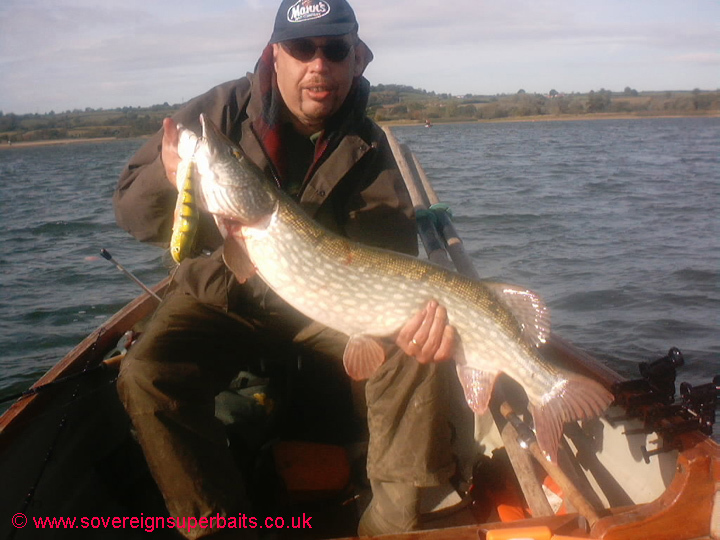 First imported into the UK by us in ‘05, this range of lures fills a long-standing gap in the hard bait market and is ideally suited to trolling or casting making it perfect for most of our larger waters, although the monster Pike has been used very successfully as a jerkbait. Furnished throughout with VMC hooks, all are floating divers which will run down to a maximum of 3m / 10’ when trolled and around 7’ when cranked but can with a little practise be made to run just under the surface making this a highly versatile group of lures.